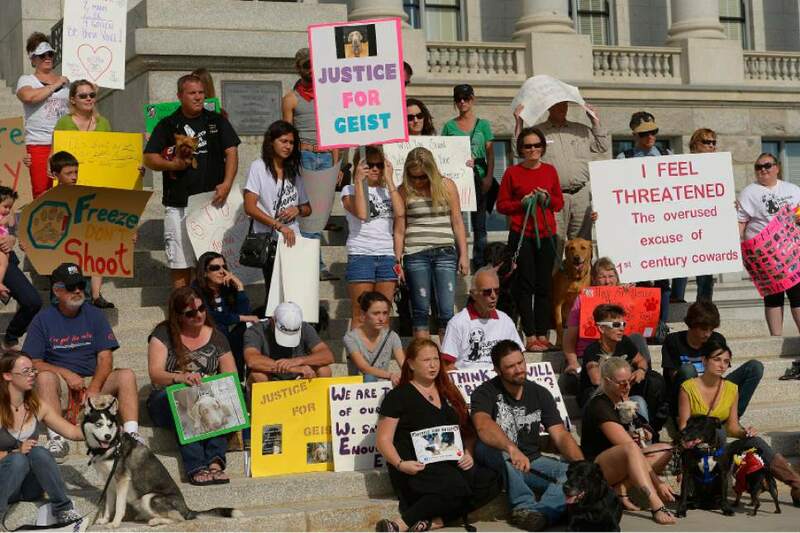 Rally • Speakers call for change in how officers react when they encounter family pets. Leah Hogsten | The Salt Lake Tribune Kori Richins tries to gain composure as she becomes emotional telling the crowd about "Arfee," a black Lab shot by a police officer in Idaho at point-blank range through a partially opened vehicle window. The "Freeze Don't Shoot" rally Saturday, Oct. 25, 2014, at the Utah Capitol is part of several marches taking place nationwide to rally against what organizers say is a growing trend of police shooting people's dogs. Leah Hogsten | The Salt Lake Tribune Trina Melton gets a hug from her dog Indo, a three-legged pitt bull mix at the "Freeze Don't Shoot" rally on Saturday. 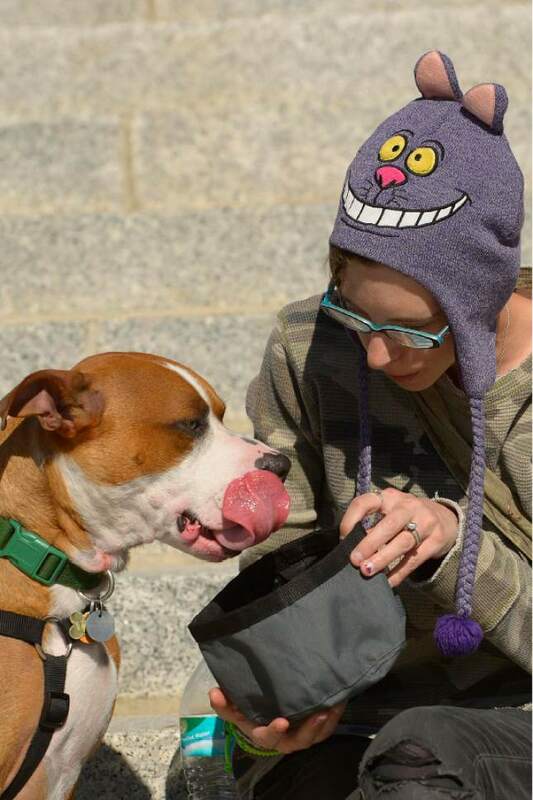 Leah Hogsten | The Salt Lake Tribune Kat Neville gives her dog Camo, a newly rescued addition to her family, a drink. The "Freeze Don't Shoot" rally on Saturday, Oct. 25, 2014, at the Utah Capitol is part of several marches taking place nationwide to rally against what organizers say is a growing trend of police shooting people's dogs. 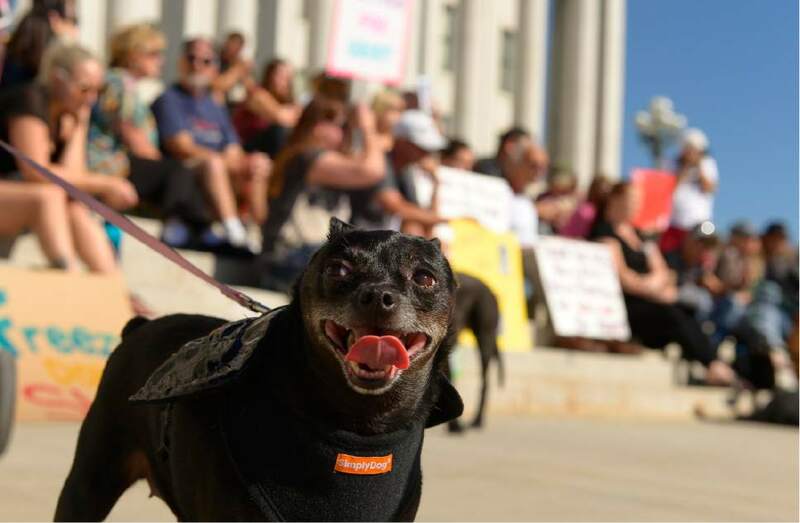 Leah Hogsten | The Salt Lake Tribune The "Freeze Don't Shoot" rally Saturday, Oct. 25, 2014, at the Utah Capitol is part of several marches taking place nationwide to rally against what organizers say is a growing trend of police shooting people's dogs. Leah Hogsten | The Salt Lake Tribune The "Freeze Don't Shoot" rally Saturday, Oct. 25, 2014, at the Utah Capitol is part of several marches taking place nationwide to rally against what organizers say is a growing trend of police shooting people's dogs. Leah Hogsten | The Salt Lake Tribune Dominick Guerrero, 10, rallied with his family at the "Freeze Don't Shoot" rally Saturday, Oct. 25, 2014, at the Utah Capitol, which is part of several marches taking place nationwide to rally against what organizers say is a growing trend of police shooting people's dogs. 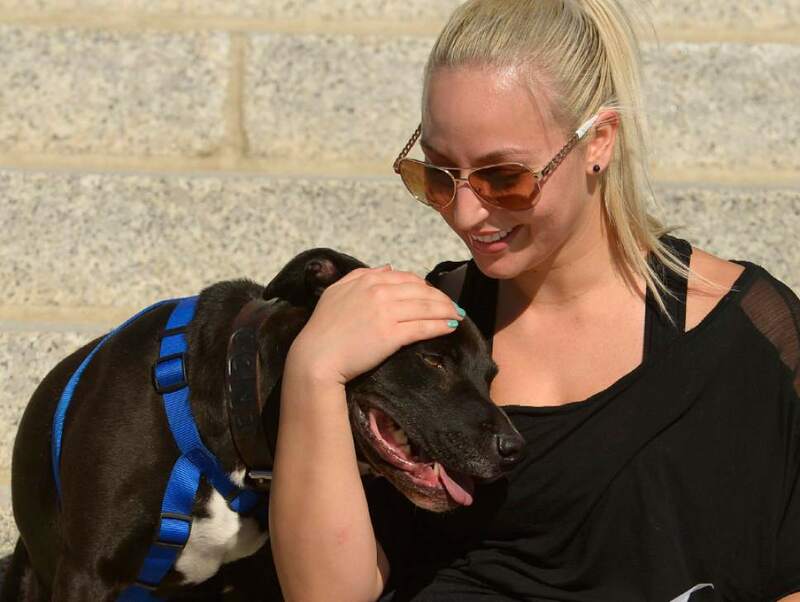 Leah Hogsten | The Salt Lake Tribune Trina Melton's love for dogs shows on her sandal feet. 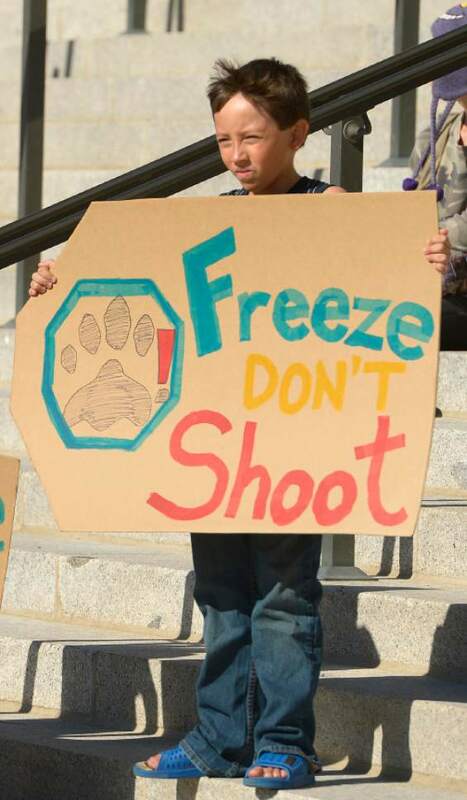 The "Freeze Don't Shoot" rally on Saturday, Oct. 25, 2014, at the Utah Capitol is part of several marches taking place nationwide to rally against what organizers say is a growing trend of police shooting people's dogs. Leah Hogsten | The Salt Lake Tribune Tia, a Chihuahua dressed as a bat, attended the rally with her owner. The "Freeze Don't Shoot" rally Saturday, Oct. 25, 2014, at the Utah Capitol is part of several marches taking place nationwide to rally against what organizers say is a growing trend of police shooting people's dogs. To the Guerreros, dogs are part of the family. 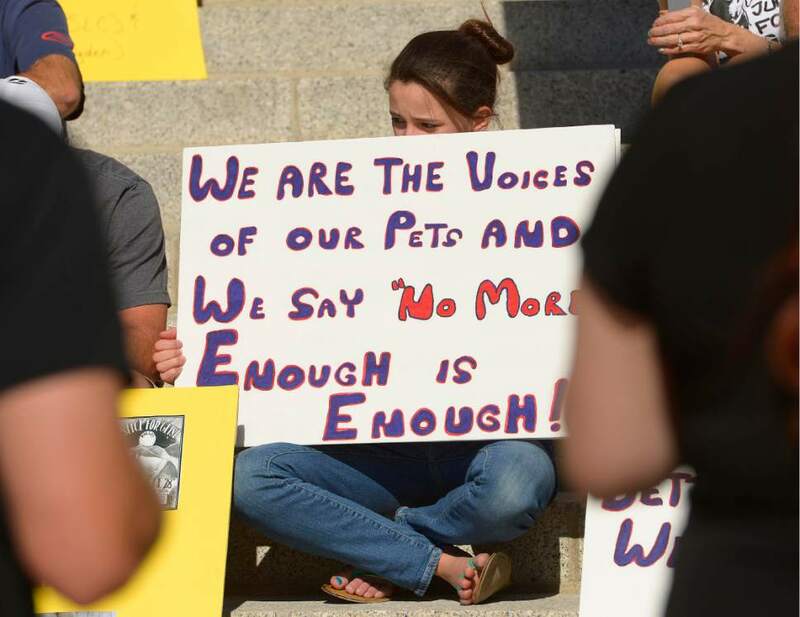 So on Saturday, the family  mother, two daughters, a grandson, a granddaughter, a great-grandson and a few four-legged members of the clan  joined a rally on the steps of the Utah Capitol calling for an end to police shooting dogs. They hope their show of force, along with about 50 other people and a dozen canines who joined the rally, will lead to change. "It shows them we&apos;re not going to let it go," Wendi Guerrero said of the campaign to change how police react when they encounter a family pet. The Salt Lake City demonstration was held as part of a nationwide protest planned by Freeze Don&apos;t Shoot, an organization pushing for changes in procedures and training involving law enforcement encounters with dogs. The group has called for marches on state capitols in support of mandatory, non-lethal containment of canines. In Utah, the death of a Weimaraner named Geist ignited controversy and national discussion about how law enforcement officers should handle pets that act aggressively. A Salt Lake City police officer fatally shot the dog on June 18 in owner Sean Kendall&apos;s fenced-in backyard during a search for a missing 3-year-old boy who was later found safe at his own home. Police have said the officer used lethal force because he felt threatened by Geist. The police department&apos;s internal affairs investigation found the officer "acted within policy." And an independent Civilian Review Board exonerated the officer of the complaint of excessive force lodged by Kendall. Speakers at the Saturday rally read accounts of police shootings of dogs in other cities. Dave Gibbs said that what happened to Kendall could happen to anyone. "We stand today in solidarity with pet owners across the United States," Gibbs said. "We have had enough." Kendall said "people are sick and tired of coming home and having to bury their dog." He urged the crowd to vote and hold officials accountable as a way to stop the shootings. "No one should have to go through what I went through," Kendall said. 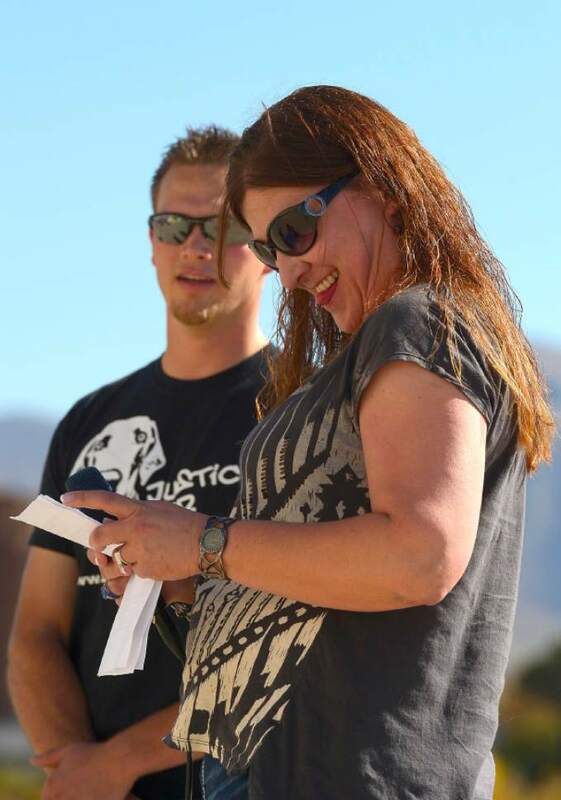 Brett Black, a Libertarian candidate in District 44 for a seat in the Utah House of Representatives, also encouraged the attendees to make their wishes known at the ballot box. "Our whole system is corrupt," Black said. "We have to demand that we have cameras on police." Merle French said advocates for change should interact face-to-face with public officials and attend council meetings to make their wishes known. "We must be persistent, " she said. "We must be proactive and engaged."